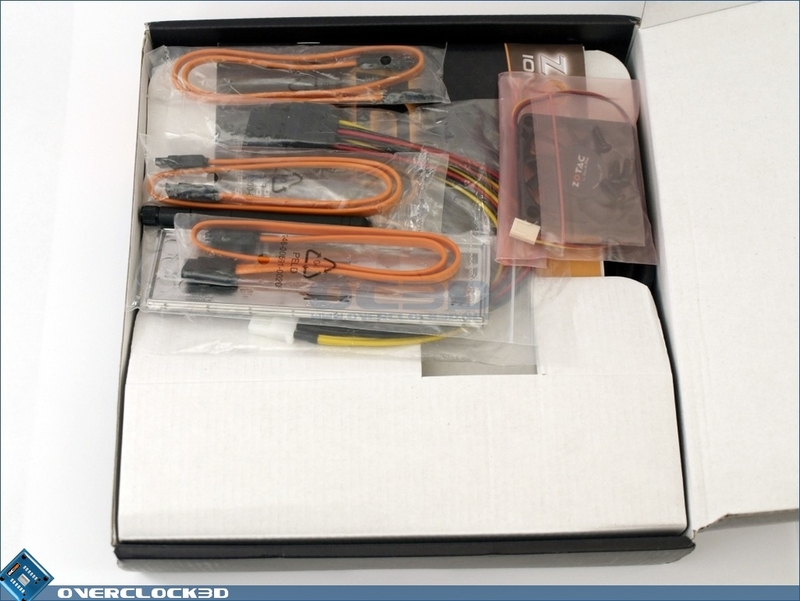 The Zotac ION ITX package arrived in a fairly simple but well decorated box with a general orange and black theme. A similar theme is continued as I opened the box finding it's contents. The size of the box along with internal packaging held all of the contents in a very secure fashion and as a result everything inside was in pristine condition. 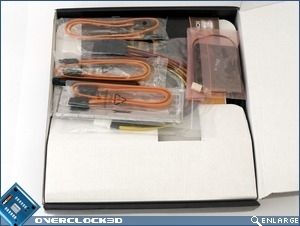 As shown, the included accessory list is fairly comprehensive and contains everything that you need to get started. 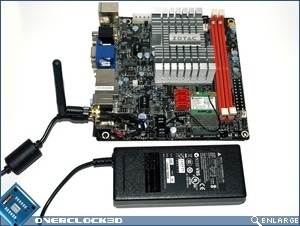 A multilingual manual, Driver CD, 90W Power Brick (Made by Delta Electronics), Wireless Antennae, I/O Shield, 80mm fan, 3 SATA cables and 3 SATA power leads fed from a molex header on the motherboard. 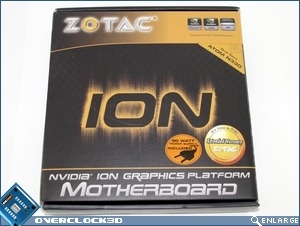 Here we have the ION motherboard in the flesh. I'd just like to point out that it's power supply is no larger than a standard laptop's charger so this should help you put the true size of the motherboard into perspective! This feature rich motherboard has been very intelligently put together, allowing so much to fit on a PCB area of just 17cm x 17cm. 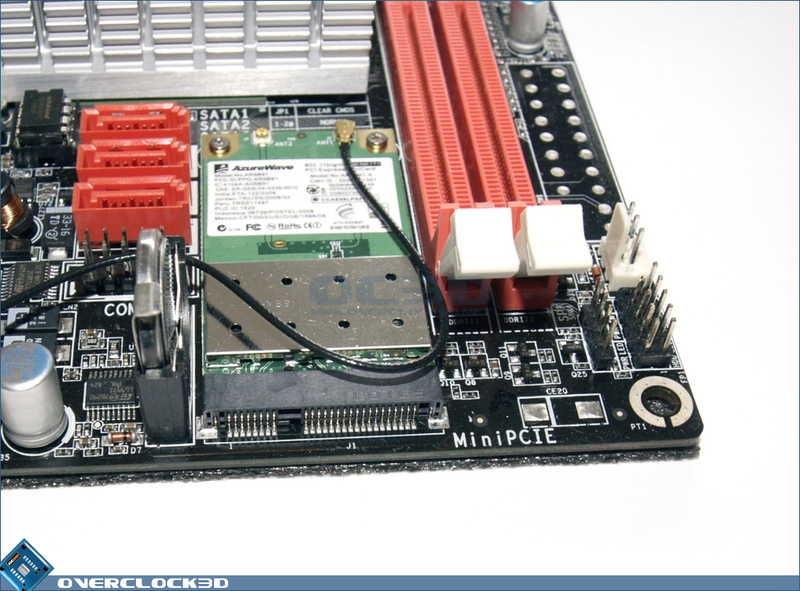 I particularly liked the easy access to the vertically mounted CMOS battery as well as the Mini PCI-E slot, both of which are placed to the left hand side. 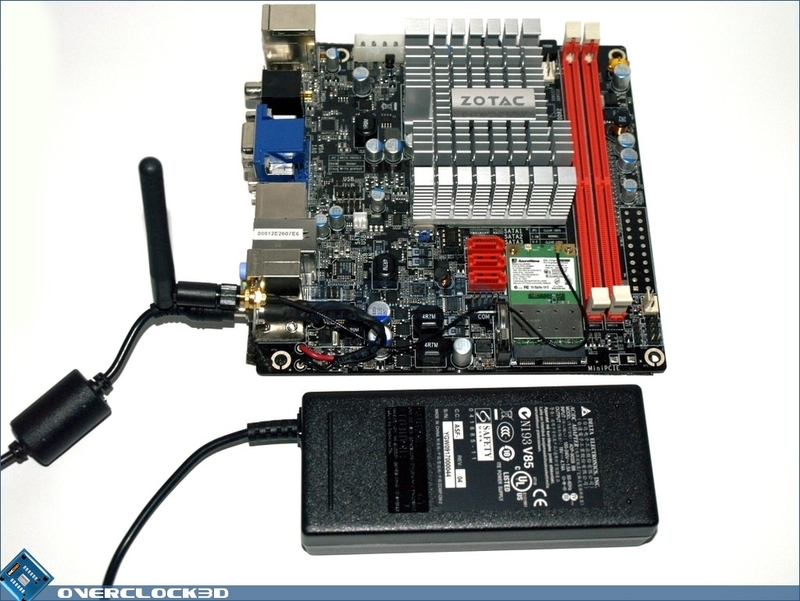 Also observe that the nForce 7 MCP and Intel Atom CPU is cooled by the same Heatsink cooling unit. 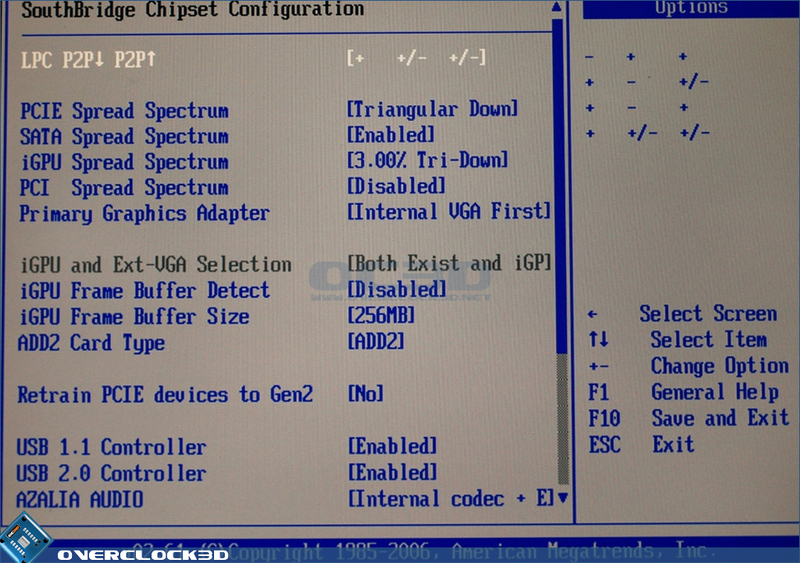 Upon removing the cooler, the chipset and CPU is now visible, the chipset to the left and the double die Dual Core CPU to the right. It's absolutely phenominal how small the Atom CPU's package footprint is. 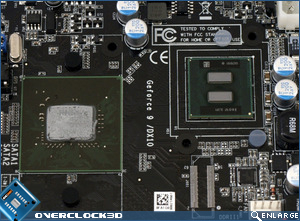 An adhesive thermal pad was fitted to the base of the cooler for the CPU, while thermal paste was used for the chipset. Not too much nor too little and the spread of it shows that the contact with the cooler is very good. 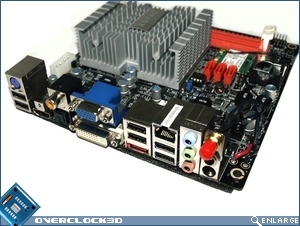 Physically, in terms of putting together the ITX system, the process was completely uneventful mostly due to the fact that there's very little to install in the first place! 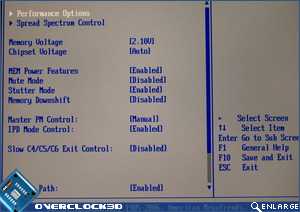 The motherboard booted first time and we proceeded to install Windows Vista Home Premium with an overall build time of just under 45 minutes. 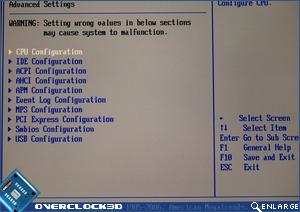 The installation of drivers were trouble free and the system was fully functional after a single system restart. 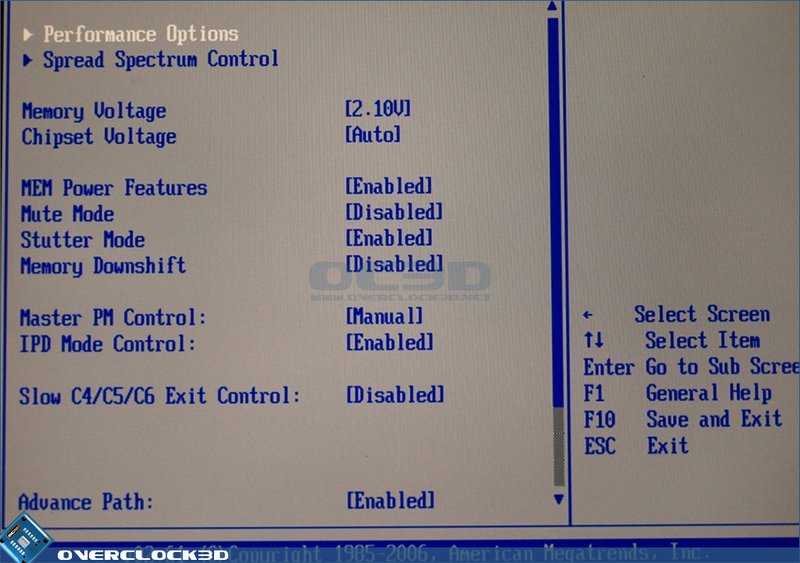 A simple system like this wouldn't really need much more than the ability to change boot priority, date and time surely? 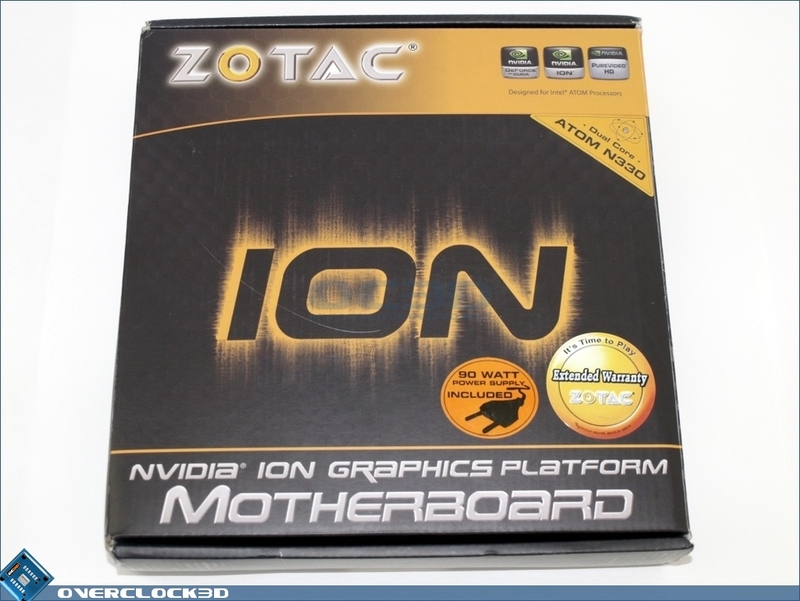 Zotac doesn't think so. 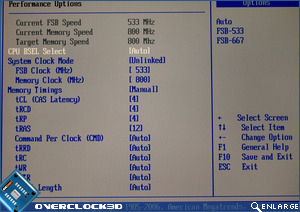 The BIOS also seems to cater to the tweaker as well, offering the ability to use sets of RAM that require more than the JEDEC 1.8V spec as well as FSB overclocking and NB/FSB Strap. 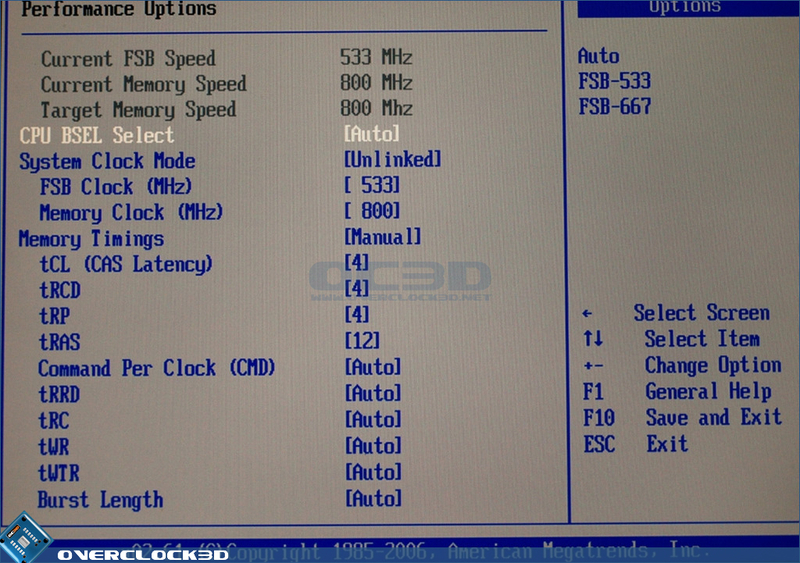 Music to my ears if I may say so and I'll return to the matter of overclocking towards the end of the review. 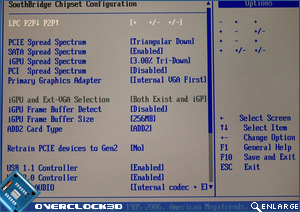 The BIOS’ layout is rather generic and common to a lot of other motherboards and hence it shouldn’t take any additional effort to get used to it. 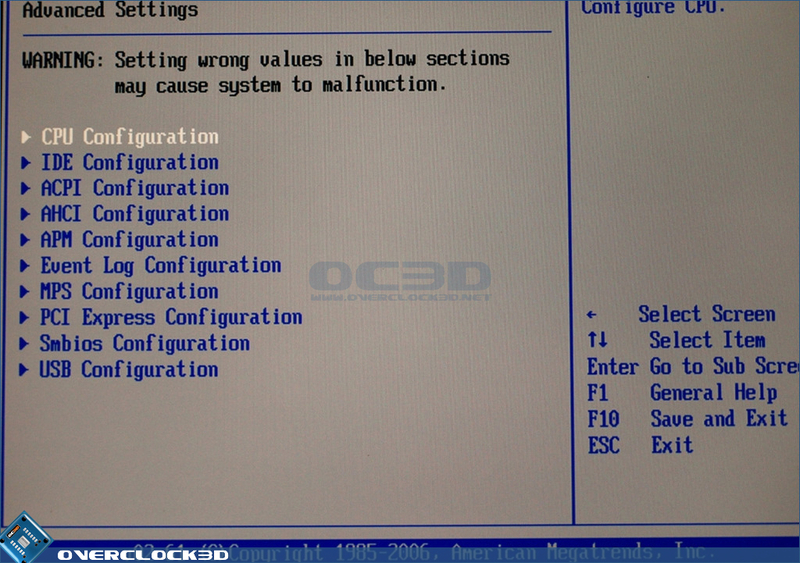 No abnormal behaviour was observed while applying settings such as a blank screen or CMOS Checksum Error. 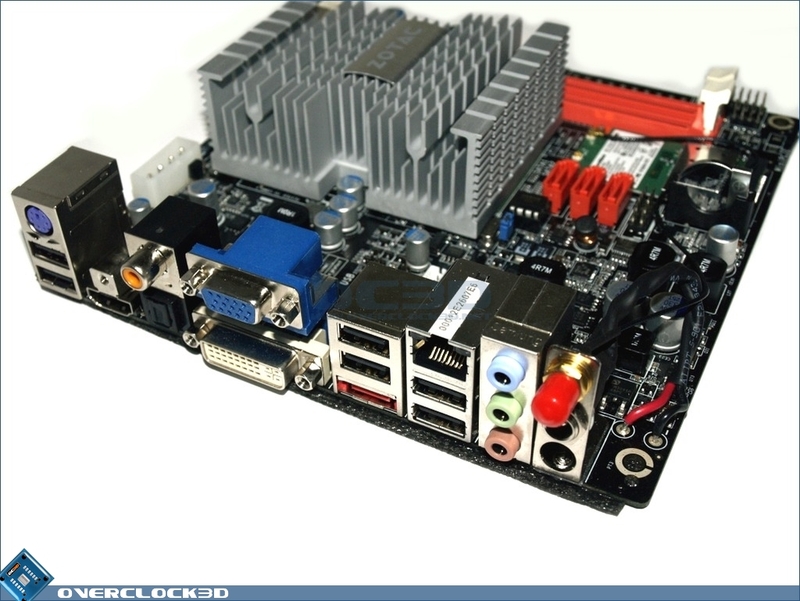 All in all, a very comprehensive BIOS for a motherboard of this type.